Annotation: Spectrum(R) Writing for grade 2 guides students through each step of the writing process as they write sentences, personal stories, fiction stories, descriptions, comparisons, how-to instructions, reports, opinions, and more. 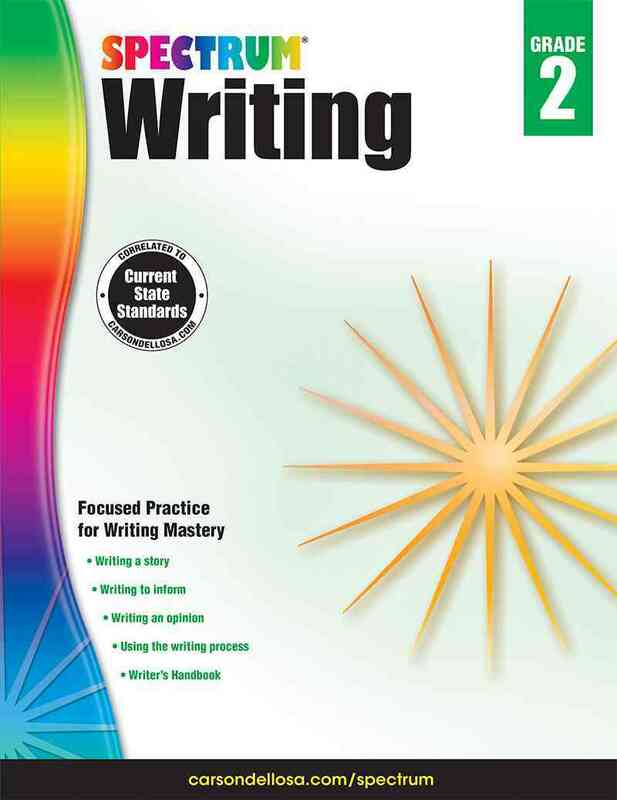 Spectrum(R) Writing workbooks guide students as they write for a variety of purposes, including writing to tell a story, writing to provide information, and writing to state an opinion. Lessons support current state standards. Step-by-step instructions help with planning, drafting, revising, proofreading, and sharing writing. A Writer's Handbook reinforces grammar and language skills, and a complete Answer Key is included. Engaging, open-ended writing projects combined with standards-based learning make these workbooks an essential resource for school success. Spectrum, the best-selling workbook series, is proud to provide quality educational materials that support your students' learning achievement and success.